Part of my mission here at Relaxed Hair Health, is to uncover new technologies and products that bring health to our hair. It's one of my favorite things to do. Sometimes these innovations aren't widely publicized so I have to search far and wide to increase my learning. Today we discuss the wonders of "Internal Wool Lipids" and how they can help bring chemically treated hair closer to it's natural state. Our hair structure contains lipids that help keep our cuticle layer strong and healthy. If our cuticle layer is compromised, only bad can come of it. Hair loses lipids from shampooing, combing, exposure to UV rays, and chemical treatments such as dying the hair or relaxing it. They've discovered the sheep's wool has internal lipids that closely resemble that of our hair. Researchers tested the effects of applying internal wool lipid (IWL) to samples to permed, bleached, relaxed and untreated hair. Once applied, the four samples were each tested for lipid content, moisture retention/water content and mechanical strength. All the samples treated with IWL experienced an increase in lipids. Which means that all hair types can benefit from this whether virgin or damaged hair. As you would imagine, relaxed hair absorbed the highest amount of all the four. In another document I found online, they concluded that "tests show that the internal wool lipid extracts, when applied to the hair showed an improvement to the mechanical properties (strength) of both undamaged and damaged hair. IWL also has the capacity for reinforcing the lipid layer of human hair and measurably improving the degree of hydration." While reading all of this, I became present to the fact that my mouth began to water with excitement. Instantly I remembered when I first discovered functional keratin which is derived from wool and is said to look almost identical to our natural keratin in the hair. I already have Paul Mitchell Awapuhi, but, something deep down still craved access to a professional strength version of this amazing technology. Since we're so far ahead in the game, this stuff isn't as easy to access. I had to go to the other part of world to finally get my hands on some professional level functional keratin. 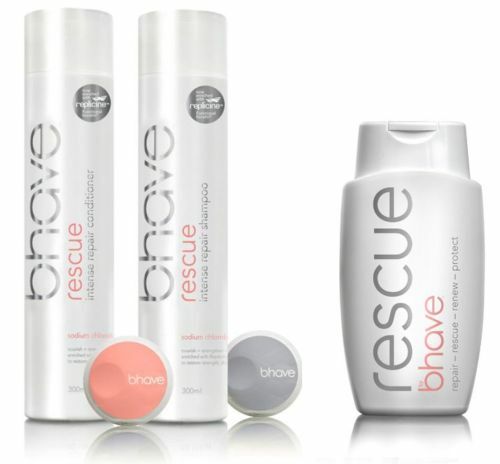 bhave is a brand out of Australia. They boast of having the only commercially available fully functional keratin protein extracted from New Zealand wool. It took a while but I finally found a vendor on Ebay that offered the bhave brand. It was quite an investment but I took the plunge and ordered the intense repair shampoo, conditioner and the rescue intense repair treatment. 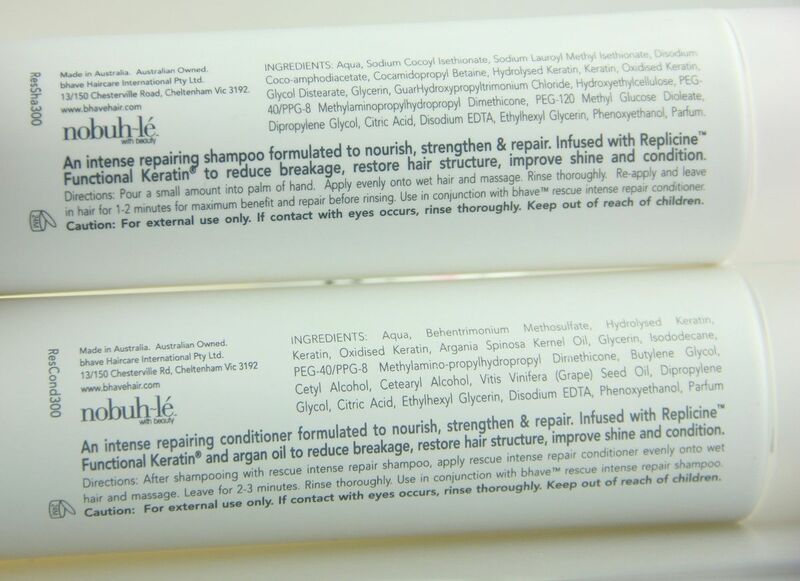 When I looked at the ingredient list of the rescue treatment, I was overcome with joy. 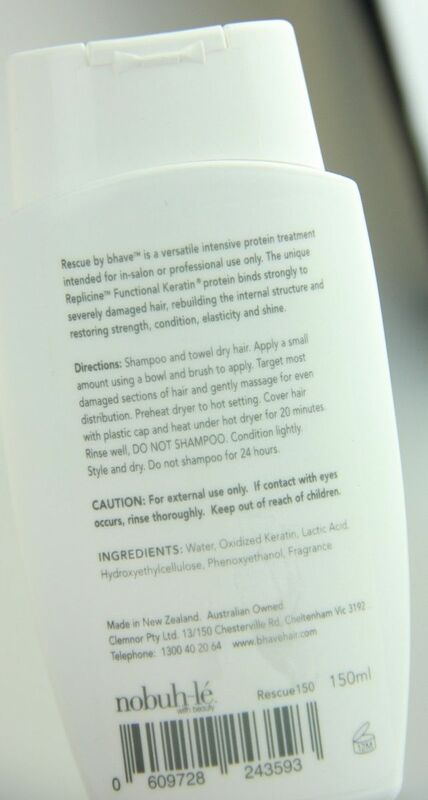 Only 6 ingredients and the Functional Keratin was listed second after water. That is some potent stuff right there. The conditioner also has the functional keratin high on the list along with argan oil and grapeseed oil. Although my hair has been "behaving" for the most part, I like to expose it to various types of strengtheners from time to time just to make sure all of my bases are covered. Since these products are so pricey, I have a strategy on how to make it last as long as possible. I'll probably won't use all three together for fear of protein overload and to avoid redundancy. Most likely, I'll rotate them. I can use the shampoo on days when I want a little protein for maintenance. The conditioner can be used bi-weekly or as needed. And the treatment post relaxer or once a month. Lookout for a review in the future. Lol @ watery mouth. Please don't forget the review.....off to check it out. Have you used this yet? Worth the $?